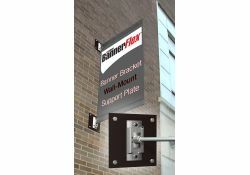 If you want to stay current with all of the most recent developments in the industry-leading banner bracket hardware available from BannerFlex, you've come to the right place. With information about our products, usage suggestions and more, you're sure to learn something useful with every visit, so be sure to check in frequently for all of the latest updates from BannerFlex! 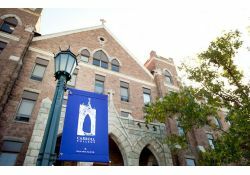 With new student orientation quickly approaching, we often see Colleges, Universities, and High Schools sprucing up their campuses and preparing to "Welcome" new and returning students. One extremely effective way to spruce up the grounds, and facilitate school pride, is to add light pole banners. A splash of color with the college or universities logo, or this year's tag line, quickly enhances campus grounds. 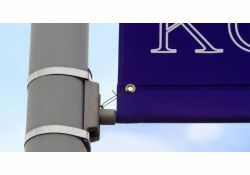 A lot of cities and towns are marked by street pole banners that line the streets in their neighborhoods. 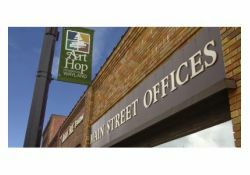 Whether it be a seasonal or holiday theme, a way to welcome residents and visitors alike to their town, or showing high school or college pride – Kalamazoo Banner Works Banners held up by BannerFlex banner bracket hardware can be found adorning towns all over. 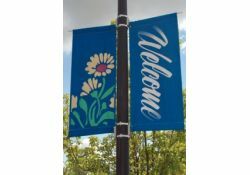 In this post, we will discuss three popular reasons KBW street pole banners are displayed in many communities. In order to ensure absolute quality, BannerFlex, in 1984, decided to contract with the GM Aeronautical Laboratory in Detroit. 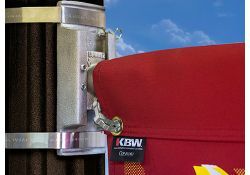 At this high tech laboratory facility data is collected and used to guarantee that BannerFlex’s banners and banner bracket hardware and other equipment is where it needs to be in strength and durability. Since we did our first test in 1984, we have done three more tests as technology has improved and new ideas have developed. 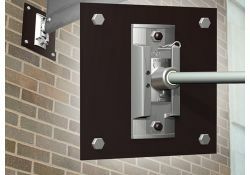 We combine the data obtained from these tests with computer modeling and the data we acquire from strength testing that is done on our manufacturing site. This compiled data has made it possible for us to create our completely unique Wind Force Calculator Program that is available on our website. 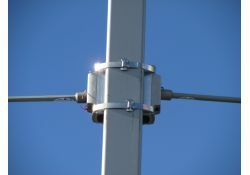 Consort Display Group was the first banner company to design light pole brackets specifically with performance in mind. 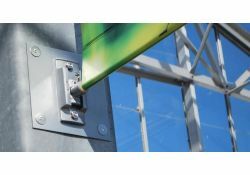 Prior to this, brackets consisted of steel pipe arms, welded to steel collars, that were then bolted to light poles. The steel would bend in the wind, collars were rarely tight enough on the varying-sized poles, and banding would often loosen during wind storms. 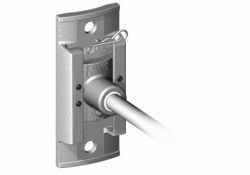 As the BannerFlex D3 brackets became more and more popular, and the industry standard, manufacturers began to imitate the product. How can you tell the difference between the innovators and the imitators?